Are you looking the BEST snorkeling in Looe Key? You’ve found the right place. The Florida Keys are known for their amazing reefs, and Looe Key Reef is right in the heart of it all. Looe Key in Big Pine FL is home to some awesome reefs, full of some of the most amazing aquatic life in the world. Snorkeling in Looe Key FL is a once in a life time experience you don’t want to miss. We can’t say enough about the beauty of Looe Key’s reefs. The community does so much to keep the reefs healthy and thriving and it shows! Strikezone Charters & Captain Hook’s comes HIGHLY rated for it’s snorkeling charters in Big Pine FL. It’s our job to give you a great experience, and our customers are always happy. Looe Key snorkeling is fun for all ages. Part of that fun is knowing you’re safe. We pride ourselves on doing things the right way so our customers have fun and stay safe. We provide the gear. We provide the best spots. All you need to do is book! We offer snorkeling trips in Looe Key twice every day. Click the button below to book your trip. 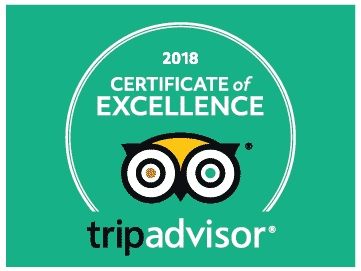 Strikezone Charter & Captain Hook’s earned another Certificate of Excellence in 2018 for our Florida Keys services. We work hard to provide the highest level of service possible, and we owe a great deal of thanks to our customers who make everything possible for us. 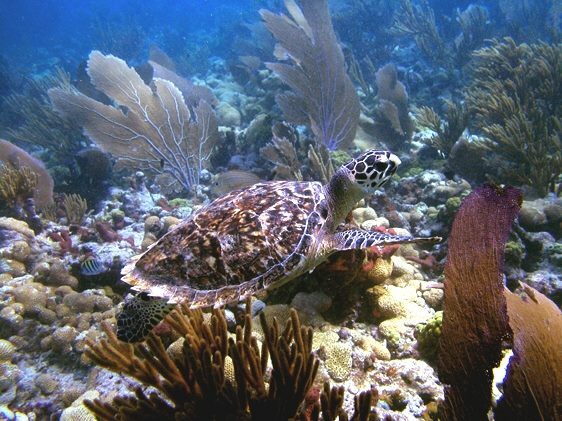 Our Looe Key Reef snorkeling is one of our most popular trips. You won’t be disappointed! Snorkeling Looe Key FL - One Of A Kind! Still not convinced? We saw fantastic aquatic life like turtles, all kinds of fish and birds, rays and so much more! If you’re looking the best snorkeling charters in Big Pine FL, you’ve come to the right place! Strikezone Charters & Captain Hook’s is located at29675 Overseas Hwy, Big Pine Key, FL 33043. We offer snorkel charters every day and we’re looking forward to meeting you! "We truly enjoyed our snorkel trip with Captain Hooks. The boat was comfortable and not overcrowded like other vendors. Coffins patch was beautiful. The crew were awesome." "I highly recommend the dive/snorkel trip Captain Hook's offers. The Jolly Roger had plenty of room for tanks and snorkel gear as well as easy entry and exit points. Wonderful time was had by all !!" Which Locations Will We Go To? Our snorkel trips go to a number of different locations in Looe Key. We even have a few of our own "secret" locations that our captains have found over the years. The weather often dictates exactly which reef we will go see on any given day. Is Snorkeling in Looe Key Safe? Of course! You'll be accompanied on the trip by one of our captains and a mate. Both are certified in CPR should anything happen. As for sea creatures, you'll see all sorts of different, beautiful ocean life! What time are the Snorkel trips? Snorkel and dive trips depart every day at 8:30AM and 1:00PM. Do I need any snorkel gear? 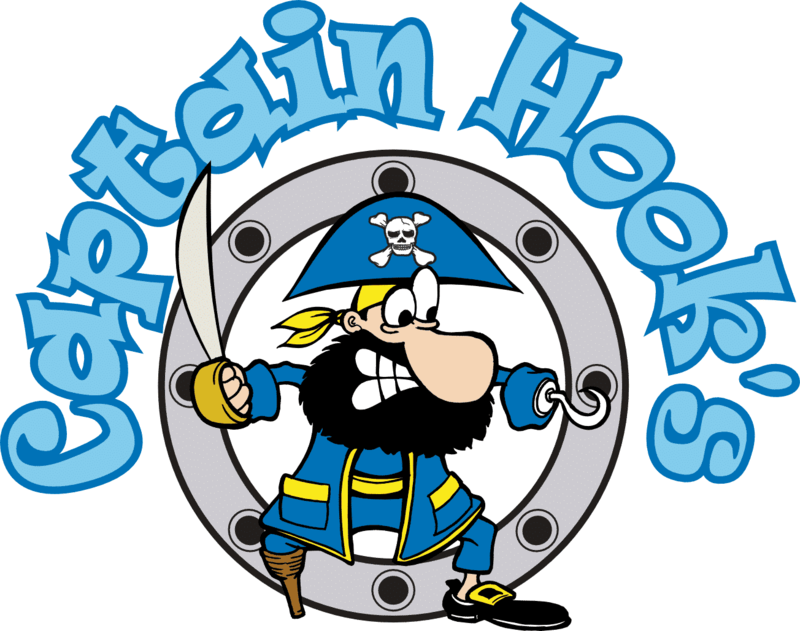 Captain Hook's will provide everything you need!